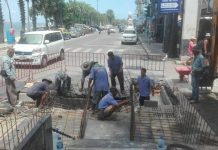 Pattaya officials only need to look out the door of city hall to see the pothole problem left behind by this year’s floods. 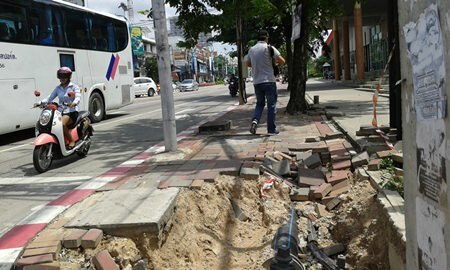 A large hole was spotted on the sidewalk of Phettrakul Road Oct. 13 just 300 meters from city hall. 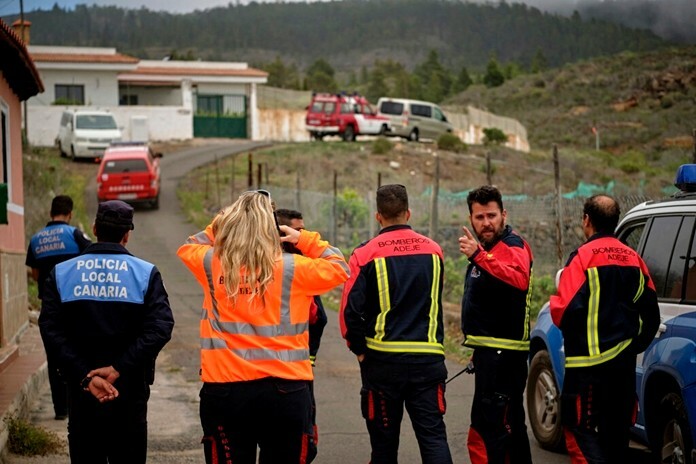 It measured about three meters wide and at least 30 centimeters deep. Water pipes could be seen lurking at the bottom, ready to trap and break an ankle. Pedestrians in the area have complained they have to proceed with caution, not knowing if the hole will get bigger as it is left unattended. A local resident said that the hole appeared after the street was battered by recent rain storms and has grown since. Sidewalk tiles were dug up by workers from the Waterworks Department and left unattended so the hole got even bigger.